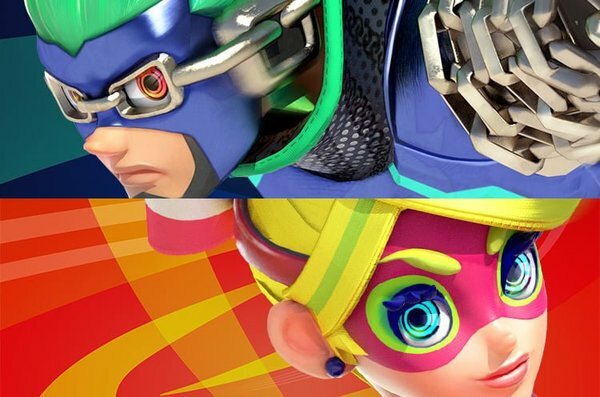 ARMS fans, make sure to clear off your calendar for April 12th, 2019. That's when the next ARMS Party Crash tournament kicks off, and it'll feature Mechanica taking on Dr. Coyle. The theme of this Party Crash is ‘Brainy Battlers’. The winner of this round will go up against Ninjara in the final four. The student of stealth meets the pop idol herself. 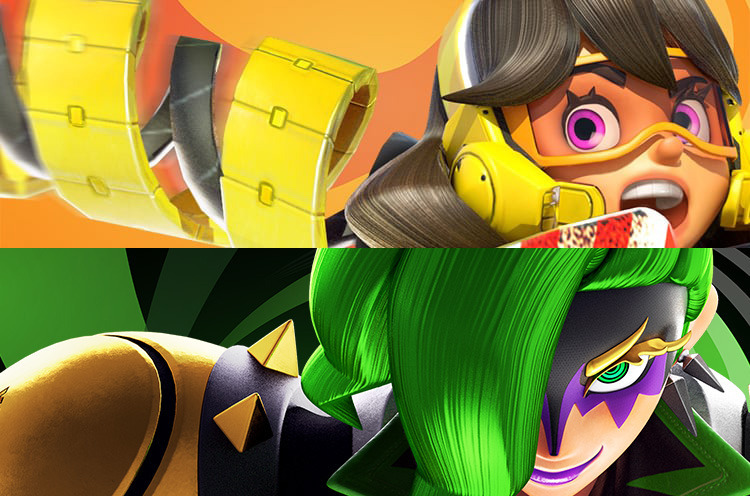 Ninjara and Ribbon Girl clash in the next Party Crash Bash! It's time for the next matchup in the ongoing Party Crash Bash event! 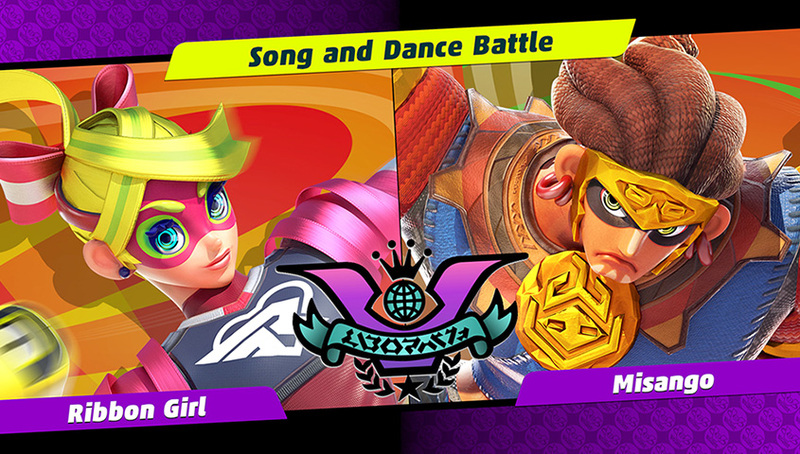 Once the dust settles in this bracketed tournament, one character from the ARMS™ game will be crowned ultimate champion! Here’s how it works. Like Party Crash, Party Crash Bash is a limited-time Party Match event with special rules. By playing these matches, you can increase your Lab Level, which then grants you in-game currency and special badges. You can also get bonus multipliers by using featured characters and weapons. At the end of each event, a winning character will be declared based on win percentages. This event will then repeat every few weeks until one ultimate champion is crowned. The event starts this Friday! Silver meets brass in the next Party Crash Bash! May luck stretch its way to you during your fights! If you don't currently own ARMs you can learn more about the game at the official website. Details on the next ARMS Party Crash event have been shared by Nintendo. 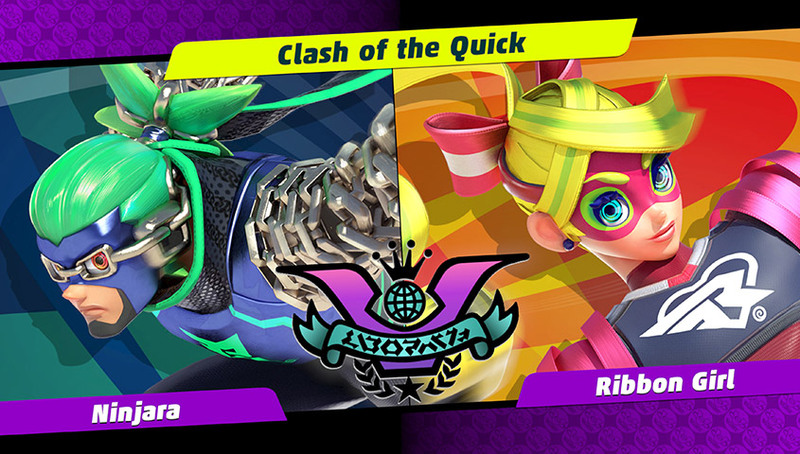 The next round has Ninjara taking on Ribbon Girl, and the theme is ‘Clash of the Quick.’ Things kick off on March 29th, 2019, and the winner will go up against either Mechanica or Dr. Coyle in the semi-finals. The next ARMS Party Crash has been announced, and it takes place March 15th to 18th, 2019. This event is the "A-List Athletes" battle between Max Brass and Twintelle. 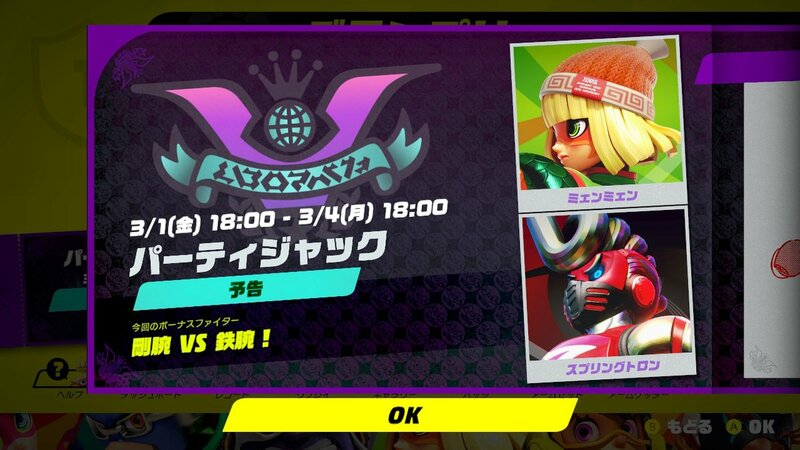 Whoever wins this quarterfinals match will advance to the semifinals, where they will take on the latest winner, Min Min. Thanks to Magitroopa for the heads up! May luck stretch its way to you during your fights! Time for another ARMS Party Crash, my friends! 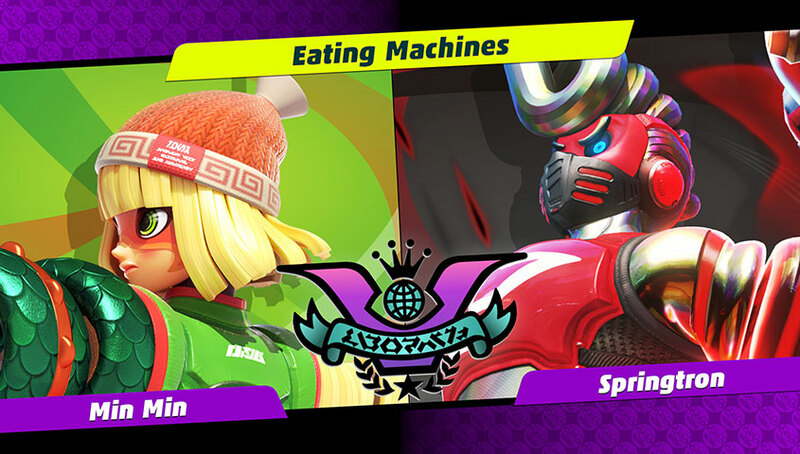 This Party Crash will see Min Min taking on Springtron, and has the theme of ‘Eating Machines.’ The action kicks off March 1st, 2019, and the winner will then will square off with Max Brass or Twintelle in the semi-finals! Other second round match-ups see Max Brass vs Twintelle, Ninjara vs Ribbon Girl, and Mechanica vs Dr. Coyle. ARMS did not come with an instruction booklet, which is why one fan set out to make his own. It took about a year to put together, but work is finally completely! Judging by the pictures above, it seems like the final product is a ridiculously high-quality one! Hopefully the creator shares even more pics in the near future. Nintendo Switch Online membership (sold separately) and Nintendo Account required for online play. Not available in all countries. Internet access required for online features. Terms apply. Learn more at https://www.nintendo.com/switch-online. Make for the next ARMS Party Crash, gang! 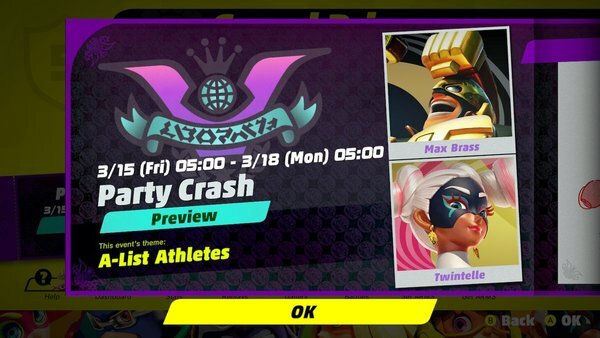 This is the 23rd Party Crash, and it takes place on Feb. 15th to 18th, 2019. 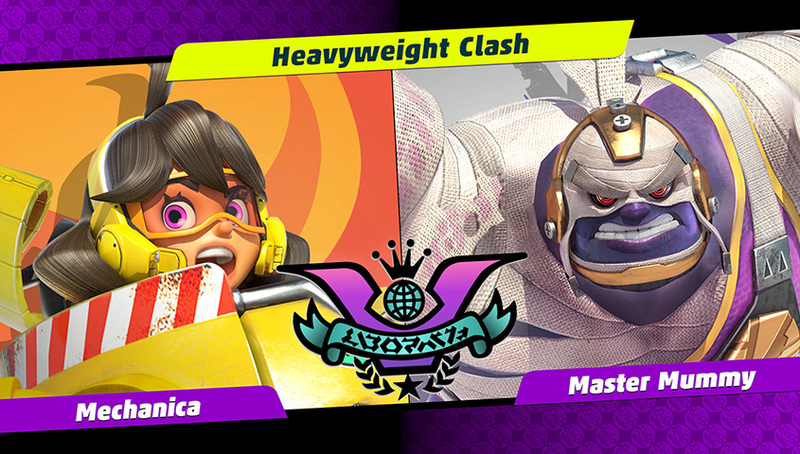 This time it's Mechanica and Master Mummy battling it out in "Heavyweight Clash." The winner will advance to round 2, where they will face-off against Dr. Coyle.